Award-winning chef Fernando puts his culinary visions into practice aided by his experience behind the stoves of many famous restaurants. These include among others Patrick Guilbaud (Dublin), Le Gavroche (London), Don Alfonso 1890 (Naples), Maison Pic (Valence) and Can Fabes (Barcelona). There he acquired the necessary skills and knowledge before launching his own project at the age of only 27. 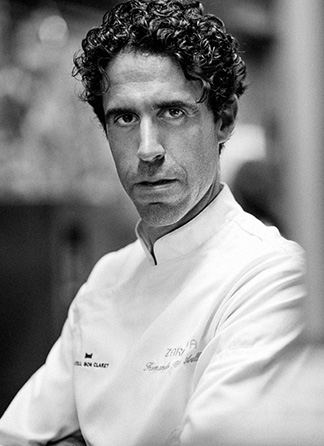 In September 2005 he opened the Zaranda restaurant in Madrid. Success was not long in coming. The daily newspaper El Mundo and the Food and Wine Magazine referred to the Zaranda restaurant as the revelation of Madrid. The Michelin Guide awarded it one star. The Repsol Guide gave it two Suns. 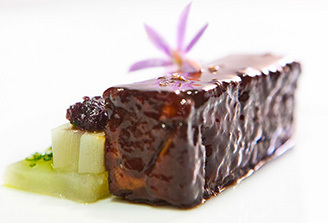 In 2008, the Lo Mejor de la Gastronomía guide presented it with the Al Grande del Mañana prize for its pioneering efforts and in the following year with the La Innovación Técnica y Conceptual prize for its cutting-edge technical concept, awarding it 8 out of a total of 10 points. After 5 years in Madrid the restaurant moved, along with all his team, to Mallorca, where they immediately recovered the prized award of the French guide. Ten years later, Zaranda has established itself on the island receiving its second Michelin star in the 2016 guide. 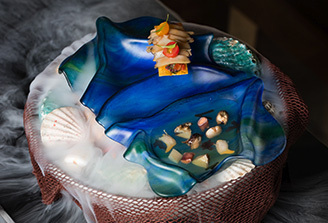 In this privileged location we have the opportunity to incorporate the best ingredients of Mallorcan cuisine into the Zaranda menu and to continue advancing in our proposal of new dishes every year, while our clients can enjoy the pleasure of a good table in an environment where everything is designed for the delight of the senses. 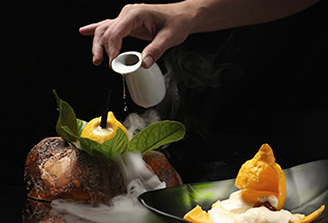 The restaurant has behind the stoves a team of fourteen professionals with Fernando Pérez Arellano at the head. The team, young and enthusiastic, come from different parts of the national and international geography, is an important part of Zaranda’ spirit. Copyright © 2018 Granada Co., Ltd.